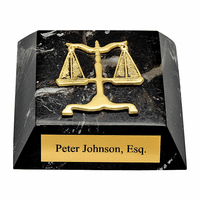 A law school student or graduate who has passed the bar has a great reason to celebrate! Help them enjoy their special moment with this great gift idea! It's an 8 oz. stainless steel flask that features the Scales of Justice artwork, along with the caption "Law School Survival Kit" on the front. 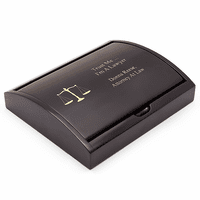 The flask has a leakproof captive screw-on lid, and can be engraved with a name or initials under the funny caption. It comes packaged in a handsome gift box that's ready for the celebration! 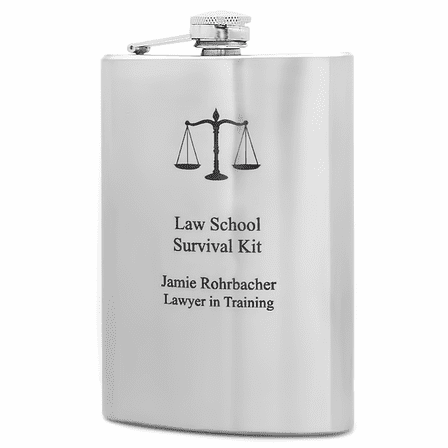 Scales of Justice and caption "Law School Survival Kit"
The flask arrived as described, with personalization as it looked on the website, and very quickly. However, when I removed it from it's packaging it had a few discolorations/stains and what looks like a ink spot from the customization, with some work they lightened but are still visible. It overall doesn't greatly affect the item but it isn't the perfect presentation gift I was looking for. Merchant Response:We're so sorry this flask arrived with stains. We'll reach out via email to send a replacement free of charge. Turned out better than what I hoped it would be! I will come back in the future! 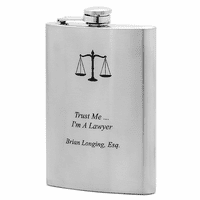 Very nice gift for law student. Nicely engraved. Shipped and delivered almost immediately. Got a thank you note the next day via email. Product was just as pictured and turned out great. 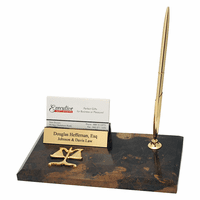 Perfect for law students or lawyers! Arrived before an order from another site I had ordered two days before.